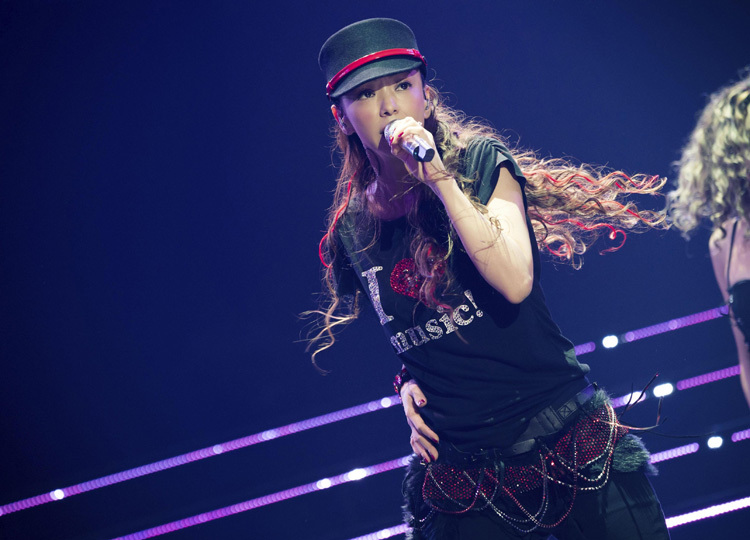 Pop star Namie Amuro stepped out of the spotlight Sept. 16, thank­ing her fans for their support over more than two decades. The 40-year-old pop diva, who created a phenomenon in the mid-1990s with young girls and women copying her fashion style, stunned fans last September when, just days after she marked her 25th anniversary as a performer, she said she intended to retire. “I would be happy if, even for a moment during these 25 years, I was able to become a singer who stood close to my fans,” she said in a statement issued on her website. Amuro also said she is grateful for the gracious farewell fans gave her. Earlier this year, she held her final concert tour and chose her home prefecture of Okinawa for her last live stage performance. Thousands of fans gathered in Ginowan to listen to her final show on Sept. 15, where she performed eight songs including duets with surprise guests. Debuting on Sept. 16, 1992, as a member of the all-girl group Super Monkey’s, Amuro went on to dominate the charts as a solo artist with a string of megahits such as Don’t Wanna Cry, Chase the Chance and Can You Celebrate?